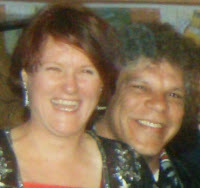 ​Above, friend of the family, Denise Byers and friend, Earl Johnson, best known for being the lead guitarist of the iconic Canadian band “Mox” organized a Craig Peterkin musical tribute at Drums and Flats in Ajax, Ontario on Sunday, April 22, 2018 which featured MC AL Joynes of Q107 FM radio fame, performances by Earl Johnson & Tommy Rocker both of Moxy; Ron Mcleod, Chris Hume, Al Reilly and very special guest, US Blues Hall of Fame 2017 inductee, Frank Cosentino with famed drummer, Danny Bilan (Moxy and Wild T & The Spirit), Guenther Kapelle (Wild T & The Spirit) and headliner, the legendary "Wild T" himself, Toney Springer, who had a huge influence on Craig's playing style and a well respected mentor, who eventually the brilliant guitarists "jammed" together and became friends. Toney Springer (Wild T & The Spirit) with Craig Peterkin's daughters Mercedes and Nadine Peterkin. The well attended event raised over $1,000 for Craig’s two beautiful daughters, Mercedes and Nadine Peterkin. At Craig's request, he was cremated, with his ashes spread by his family in a private location. For those who could not attend this spectacular event & worthy cause, but still wish to donate to the daughters of Craig Peterkin, please e-transfer your donation to Craig's sister, Patti Peterkin at: ppeterkin9102@rogers.com. She will ensure your donation goes directly to Craig's children. No amount is too small and all donations are greatly appreciated. God Speed my "Friendly Giant," you will be missed tremendously CRAIG PETERKIN. 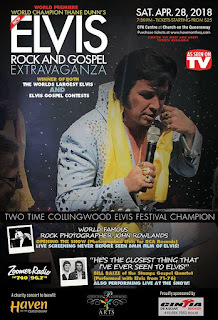 in Thane Dunn’s award winning “immersive Elvis experience” and benefit show. scrambling to make sure they have tickets. to video and it will be aired exclusively in Rowlands presentation at the Toronto show. 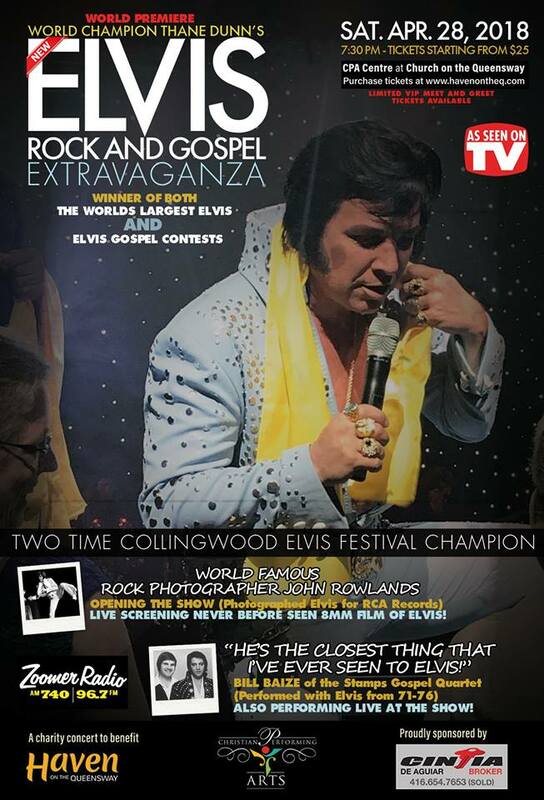 evidenced by his winning of the "World's Largest International Elvis tribute artist contest"
and Gospel show with Thane Dunn” on April 28 at the Church on the Queensway.